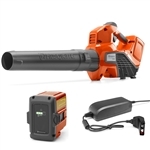 Husqvarna 360BT Backpack Blower 967 14 43-01 Free hat for limited time! 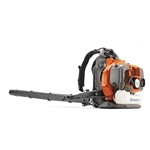 We have the most versatile and dependable Husqvarna leaf blowers for commercial and residential use. Husqvarna is known for its durability and power, and our selection includes the very best Husqvarna backpack blowers available. These are heavy-duty, gas-powered blowers designed to be both lightweight and easy to use. The lightweight construction and fuel-economy of Husqvarna backpack blowers do not sacrifice power, and all blowers are able to provide plenty of use per tank of gas. 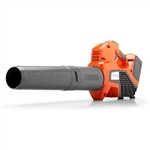 Buy Husqvarna backpack blowers for jobs big and small for the best, most reliable blowers on the market. We offer the best selection and great prices on all of our backpack blowers with free shipping on all orders. 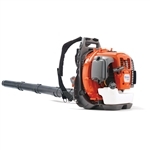 Shop online now and save, or contact us for help finding the right Husqvarna leaf blowers to fit your needs.